Figure 1. Bullish Meeting Lines pattern. The Bullish Meeting Lines is a two-line bullish reversal pattern. The first line is a black candle appearing as a long line. The second candle also appears as a long line, but the candle's body is of white color. Both candles close at the same level. Although the pattern's shape is simple, it appears extremely rarely on the charts. The pattern should be confirmed on the subsequent candles. 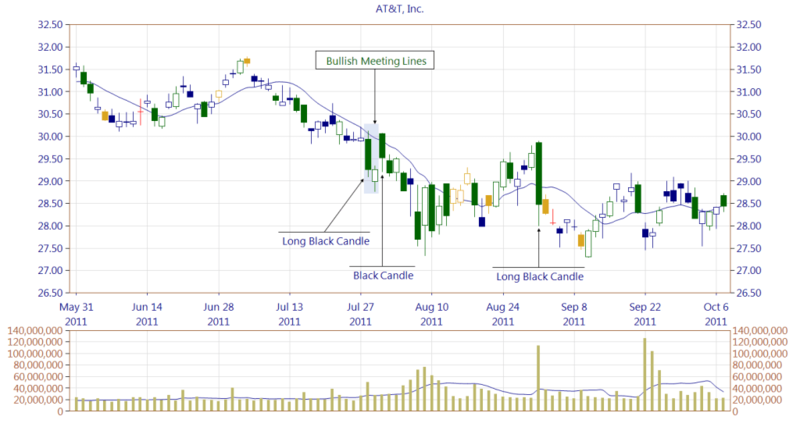 Visually the Bullish Meeting Lines pattern is similar to the In Neck being a bearish continuation pattern. The main difference is, however, in the length of the second line's body. In the case of the In Neck pattern, the second candle's body is shorter. Figure 2. A Bullish Meeting Lines occurrence with the first line being a Long Black Candle, forming a resistance zone. A Black Candle following the pattern is a failed attempt to break out of the downtrend. As a result, the resistance zone is stronger, and the bears retake control. 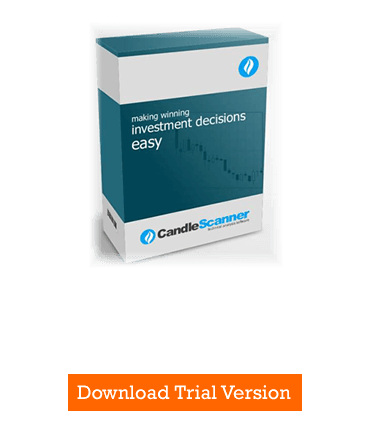 Below you can find some Bullish Meeting Lines pattern statistics calculated by CandleScanner software. To see more detailed statistics, for other markets and periodicity try our CandleScanner software. Prices start at only $10, and you can see more detailed statistics, for other markets and periodicity. Click here to find out more!